Introduce your child to basic cause and effect principles by using chunky LEGO DUPLO bricks to make a turning carousel. Watch them learn to turn the carousel top and see the seats on the special gearwheels spin round below. 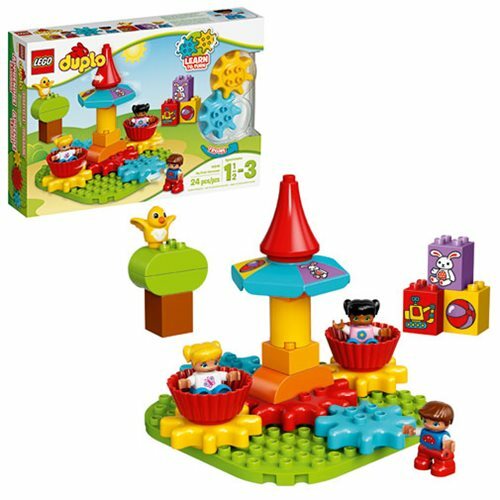 With three child DUPLO figures and decorated bricks for matching, there are so many ways to play and learn with this exciting model. The LEGO DUPLO 10845 My First Carousel includes 24 pieces. Ages 1 1/2 - 3.